Here are 3 Browsers For Windows 8, other than the default IE10 browser, that can be installed at zero cost, in your Windows 8 system. These browsers have served the previous versions of Windows really well. Now, its time for them to work for the very new Windows 8 OS. And, let me tell you.. all of these browsers worked perfectly fine on Windows 8 too. One of the most popular Browsers of all time, Google Chrome is now available for Windows 8 system, as well. However, you wont see any drastic change between the previous and the new version of (build for Windows 8 system). You can read our post on how to open Chrome in Windows 8 style. This free browser for Windows 8 facilitates you with features such as secure browsing, and excellent browsing speed. The interesting part about this Windows 8 browser is its syncing abilities. You can sign-in to Chrome, customize it according to your preferences, and access from anywhere, at any PC. 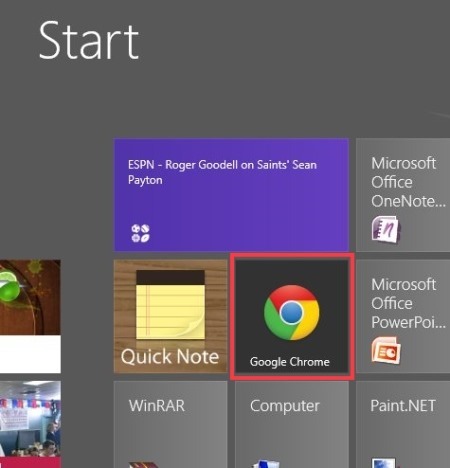 Here, in this Windows 8 system, Google Chrome locate itself on the Start Menu Screen and get opened in a different style. You can also set Chrome as a default browser for Windows 8. It’s very easy to use. Read more about Google Chrome or simply download it from here. The upgraded version of Mozilla Firefox can be run in both the previous desktop and the new Windows 8 stylish environment. 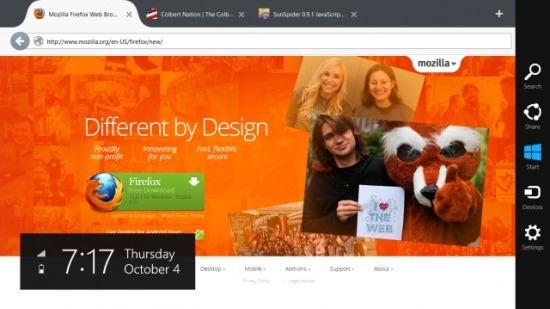 As you open the Firefox browser in Windows 8, you will find Bookmark on the left-side, recent webpages you have visited in the middle, all the downloads at the right-side. It’s very easy-to-access Firefox in Windows 8. You can pin to Start menu that makes it easier for you to open the browser, right from the Start Menu screen. Although, you do get an option to pin or unpin the browser on the start screen. Read our post on Firefox Browser For Windows 8 or simply download it here. 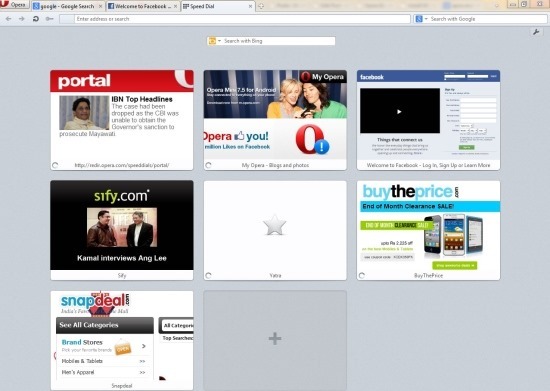 Yet another beautiful browser for Windows 8, Opera Mini. the latest version of Opera Mini works absolutely fine in the very new Windows 8 OS. Being an oldest browser, Opera Mini have something extremely special enabled in it that lets this browser survive for so long. It’s very fast, has a beautiful interface, provides you Speed-Dial option, lets you drag the opened tabs, and more. This Windows 8 browser comes up with features such as making notes, view browsing history, add panels, enable Opera Turbo, and the like. You can read more about Opera Mini Browser or simply download it from here.